As anyone who has ever spent a few days backpacking, completing one of America’s three most iconic trails — Pacific Crest, Appalachian and Continental Divide — would seem a Herculean task. To conquer all three known as the Triple Crown of Hiking in a single lifetime is an accomplishment reserved for only a handful of people on this planet, fewer in fact than have become President of the United States. Now to do it in a single year is something else entirely. 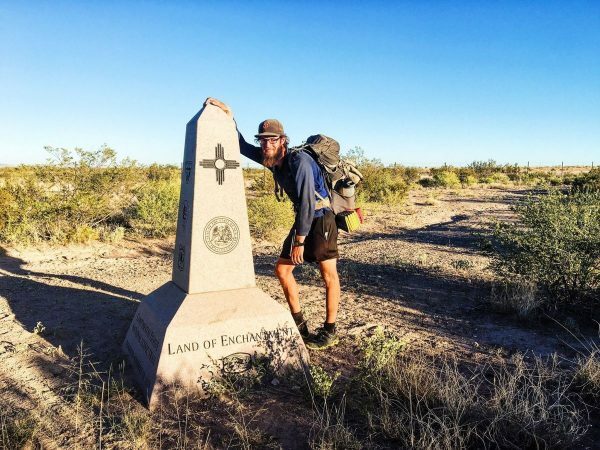 Oregon hiker Jeff Garmire, 26, recently completed all three trails that stretch from America’s north to south borders having began his voyage in March. That’s a total of nearly 8,000 miles in about nine months. There are 27 hikers who have reported their Triple Crown accomplishments to a pseudo-official record keeper, but none that we could see who did them all in a single year. Garmire recently spoke to the Montana Billings Gazette about this adventure and to answer some common questions such as how many shoes he went through — 13 — and how many calories per day he ate, which was 6,000. One of the tricks to long-distance hiking obviously is to keep your weight down. Garmire told the Gazette his pack rarely weighed more than 30 pounds, with his base weight not including food and water at 10 to 16 pounds. This can be a tough thing to do for most backpackers, but one absolutely necessary if you’re going to be walking more than 20 miles per day. Garmire explained that he first completed the Appalachian Trail beginning in March during the off-season so the conditions were extremely cold and icy in parts. He then did the Pacific Crest trail in what would be considered somewhat early in the season, passing through the Sierra Nevadas in May. And then finally after he had lost 25 pounds, tired and searching for motivation, he conquered the Continental Divide Trail north to south. What were some of the most amazing moments of the trip? He describes walking across a frozen lake, getting charged by a moose and thunderstorms so close they shook the ground beneath him. What was the most hardest part? He said the mental fortitude and being able to overcome those physical pains that undoubtedly come. Walking 10-12 miles without water is never fun, or the long stretches of connector trails through the desert, but he somehow found a way. For the complete interview with the Billings Gazette. Continue to follow Jeff at FreeOutside.com and Twitter.